Springtime means it’s time to break out those pretty sundresses and tank tops. A Body Highlighter is perfect if you are going to bare your shoulders and legs while the sun’s out! This versatile product that can be applied to the arms, legs, neck, collar bones; basically to any part of the body you want to accentuate with a sunlit, shimmering glow. This Body Highlighter recipe is not scented, however, you can add fragrance if you’d like. We recommend a maximum of 1.5% fragrance or essential oil. You can customize using our batch calculator. 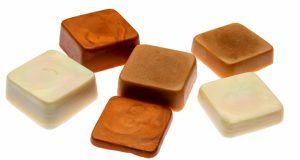 We begin with our Essentials by Catalina Lotion Bar Base which is loaded with skin loving moisturizers like Cocoa Butter, Shea Butter, and Argan Oil. Added together, these great oils up and you have an incredibly moisturizing Lotion Bar. We used our Magic Mauve Mica. If you choose to use another mica be sure to test it in a small batch to make sure it does not settle. Here is a link for the silicone mold we used for these little shimmering bars. They are perfect for travel and keeping around for a glowing touch-up. Melt the lotion bar base in the microwave at 30-second intervals. Be sure to stir between intervals to keep pressure from building. Pressure can result in an eruption of hot oils. You can also use a hotplate on medium, making sure the base does not burn. Be sure to stir constantly. CAUTION! OILS WILL BE HOT! HANDLE WITH CARE! 1. 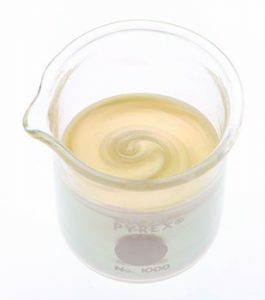 Measure lotion bar base into a container. Use glass if you are using a hot plate. Use a microwave-safe container if you are using a microwave. 2. 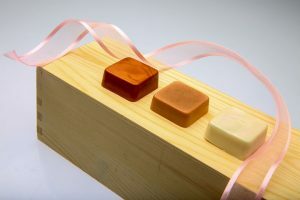 Melt Lotion Bar Base until it becomes transparent and the butters and oils are fully liquid. 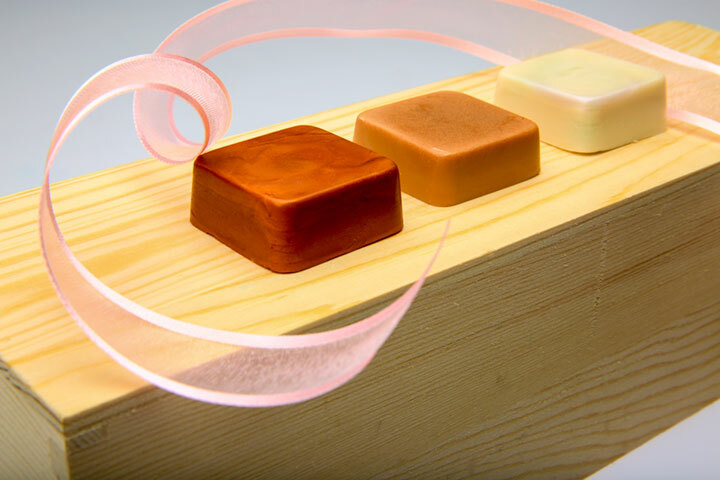 The Lotion Bar hardens as it cools, it is, therefore, important to work quickly, but carefully. 3. Add mica and stir until there are no lumps of concentrated mica. It is okay if it looks streaky, most micas will have that effect. 4. Pour into container or mold of your choice. 6. Take out of the mold, or seal the container, and you are done! This is a base recipe that can be followed or you can make it your own by adding fragrances, oxides, or any number of fun additives. Be creative and give it a try. Feel Free to use the batch calculator linked above. Here are some tips and ideas! The finer the mica, the less chance there is for settling. The base does not have a suspending agent, so there is a chance the mica could settle. 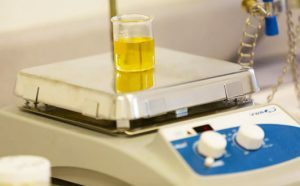 Therefore, always make a test batch to be sure your additives are compatible. It is better to use a smaller container so that the product cools faster which decreases the chance of the mica settling. Essentials by Catalina’s Magic Mauve Mica works perfectly because it is so fine, leaving the base an ivory color with all sorts of shimmer. You can easily add oxides for a non-staining color. This base can easily be modified into a body bronzer by adding sienna iron oxide and extra mica for a slight sun-kissed color!